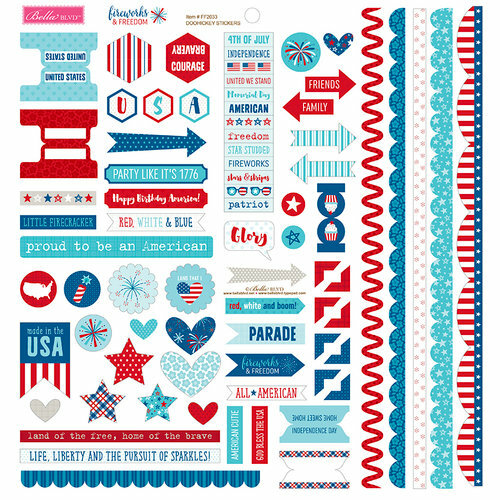 You're going to have some star-spangled fun this 4th of July with the Doohickey Cardstock Stickers from the Fireworks and Freedom Collection. 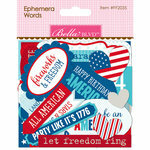 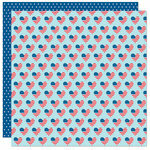 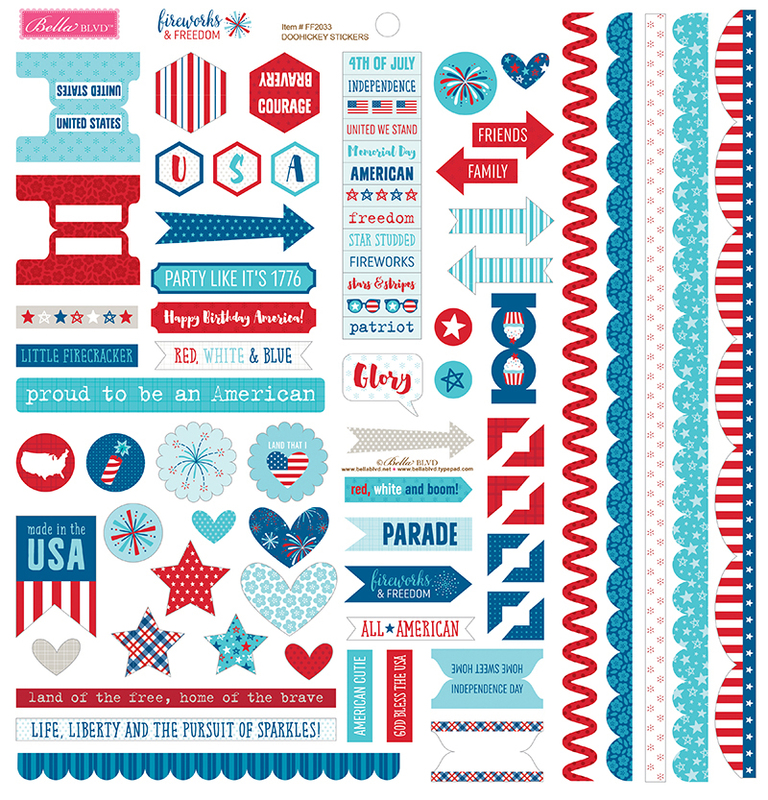 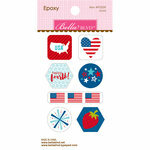 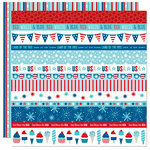 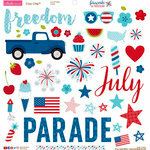 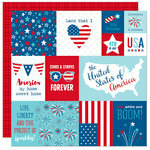 The 12" x 12" sheet has stickers of borders, photo corners, arrows, tabs, banners, fireworks, sweet treats and more. 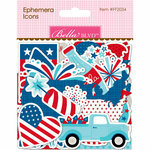 The stickers are by Bella Blvd.